It’s been a while since our good friend Lawrence Finney lost his battle with cancer. He is often mentioned whenever fly tyers gather in Northern Ireland and at International shows . He was an innovator, comic, at times a certifiable lunatic and great fly tyer. Most of all he had a huge heart and couldn’t do enough to help a friend. He was a prolific fly tyer and a lot of his patterns remained unsold after his passing. 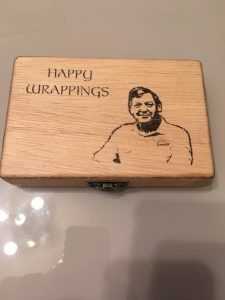 In his memory Wolly Ireland and Gerry Teggart have put together some fly boxes that are being sold to raise money for charity to continue the fight against cancer. 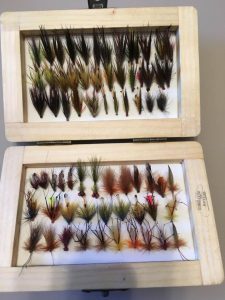 You can buy a full box or just make a smaller donation in exchange for a few of Lawries excellent flies. The order can be customised as far as existing stock will allow.